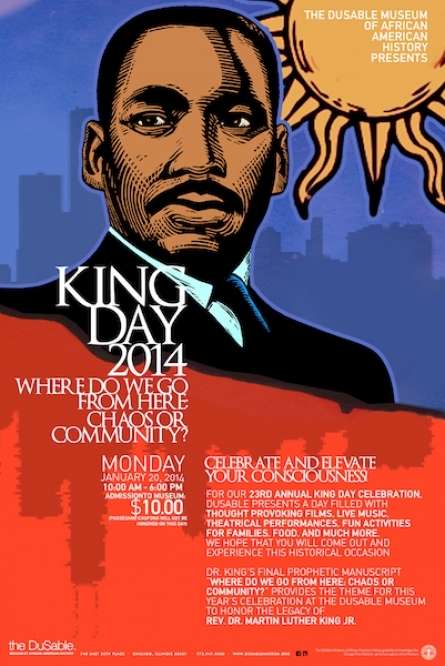 The DuSable Museum of African American History will celebrate “The Drum Major For Justice” during a full-day of activities honoring the late Civil Rights Leader and Noble Peace Prize-winner, Reverend Dr. Martin Luther King Jr., on January 20, 2014. The theme for the 2014 celebration is “Where Do We Go From Here: Chaos or Community.” Exciting, educational events suitable for the entire family are on the schedule, from 10:00 AM until 5:00 PM. All events will take place at the Museum which is located at 740 East 56th Place (57th Street and South Cottage Grove Avenue) in Chicago. Long Live the King, Remembering #NelsonMandela. The world lost a hero, at 95 years of age Nelson Rolihlahla Mandela took his final bow residing in his home in South Africa. After reports surfaced just a few months ago of his condition; (struggling with a lung infection) many thought he was nearing the end. Although he has transitioned he will not be forgotten. He left an immoveable mark on the world with his dedication to humanity and justice. 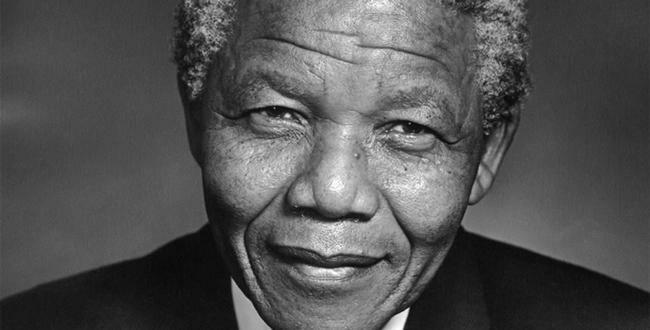 Spending 27 years in prison protesting the South African apartheid, Nelson Mandela lived the greatest example. His commitment to black South Africans was shown through his selflessness and courage. Mandela was an educator who believed strongly in uplifting the youth through information and action. He taught not only through preaching but practicing everything he spoke of. Mandela was what some might refer to as a radical, he taught us that justice isn’t a cloak that one hides behind, justice is to be demanded and fought for. Doing what is right comes at a price and he [and many others] paid the ultimate price. Mandela also taught us about forgiveness and unity as he ascended to the position of prime minister of South Africa in 1994. Mandela was a firm advocate of basic human rights. Through his extraordinary efforts he helped restore and build a greater moral inheritance for all South Africans. He is truly a legend. There aren’t many words that I can write that will express my sincere and deepest gratitude for his contribution to mankind. But I will uphold his legacy by sharing his Street Intell. Until next time… Street Intellectuals stay positive and progressive! If you’ve been on the poetry scene in DC or out protesting for change you’ve probably crossed paths with this Street Intellectual. 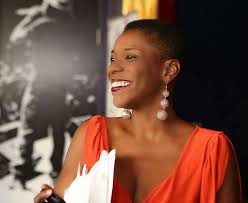 She has been a supreme supporter of cultivating poets and young hearts through her work with the DC Youth Slam team. She’s also been known to murk a number of poetry slams with her quick wit and canny delivery. I first took note of this heroine performing at DC’s local community poetry session, Spit Dat. It was there that I was captivated by her allure as she reconstructed and resurrected my soul! Her natural skill for the art of words goes unmatched. I’ve followed her as she progressed to perform and host numerous slam poetry shows at Bust Boys and Poets, Graffiti DC and many other venues. It has been a delight to get to know her and share in her many accomplishments. Yaya is slowly cementing herself as a powerful artistic force within the DC metro area, most notably with her involvement and lead in the budding underground arts movement, the Sanaa Project. I was honored to have had a chance to sit down and interview this queen at the Mousai house and get first looks into her book. She shared her thoughts on transitioning from a performance poet to 1/3rd of the band Gully Waters and now author. Her book Job’s Daughter: The Adventure’s of Trill Yeezy is set to release December the 10th. Don’t forget to share, like and subscribe to StreetIntellTV. Purchase Yaya’s new book here. Ignorance or Apathy? #Hallowood2013 CULTURE IS NOT A COSTUME! It’s since been noted that the fashion industry hasn’t always been quite informed on the task of understanding Africans or their African descendants [African-American, Afro-Caribbean, Afro-Latino…]. Although residing in the age of information, we are not surprised by the lack of knowledge. However, in any realm cultural sensitivity should be of great importance, especially in an industry where design inspiration is usually pulled from all types of traditional influences. It’s one thing to find inspiration in a specific culture’s garb and replicate it. But it is utterly disgusting to try and embody another culture through mimicking what you’ve perceived o be an accurate social characteristic. The nonsense of distasteful representation of Africans continues; this time in the name of Halloween “fun”. Just this past Saturday noted Italian photographers, insiders, designers and the lot gathered in Milan for #DiscoAfrica. At the event guest dressed in outfits that they presumed were fitting representations of the African. Although this party was thrown to pay homage and celebrate African influences in fashion such as veteran model, the unconquerable Grace Jones. It turned into a spectacle in which the blatant disrespect and unacceptable views of African people were made evident. One might raise the argument that the nature of this event is based around sheer lack of knowledge. But this notion of parading around in black face “for fun” is no longer excusable. Just a short 6 months ago, in the May 2013 editorial for Vogue Netherlands models appeared in black face stirring up these same issues. So what does that say about the state of the fashion industry? It appears that the community is uneducated, right? Wrong. If this type of incredulous behavior persists and people keep responding with disdain, why keep doing it? Why is this something that keeps being showcased time and time again? There is a thin line between ignorance and apathy, it is evident that some of these individuals are aware but they choose not to acknowledge their distasteful behavior. You can’t constantly say ” forgive them because they know not what they do.” To be unaware that this type of racial profiling is wrong can no longer be a crutch to rest on, especially with the power of the internet, news and social media. This is an open slap in the face to African people and their descendants because it is a conscious and continuous disregard. What has to be done for more people to recognize that making fun of a culture through racist (yes, I said racist) associations whether purposeful or not is NOT flattering?! CULTURE IS NOT A COSTUME!!! Get that thought in your heads and cut it out! Be inspired to create tasteful representations and if you are unsure of what is appropriate, consult someone that looks like what you want to represent. Apathy is a far uglier disease than cancer, get well soon. 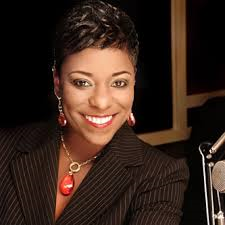 Well known and highly respected Radio/Media Personality, Sheila Stewart died in an Atlanta car crash on Thursday. We are deeply touched by this news. Not only was Sheila one of the leading radio and media personalities in the DC metro area, she was a key facilitator in the growth of Street Intell as a recognized media brand. She held open that door and allowed us to walk through. Growing up as a DMV native, it has been customary to hear Sheila’s beautiful voice on the Tom Joyner radio show updating us on community news. She was a decorated and award winning media personality, author, mentor and the Director of News and Community Affairs at the Radio One studio. She leaves behind a long remarkable legacy of dedication and service; spanning over 20 years. Shelia was a persistent figure in the community. She organized countless charitable benefits and always uplifted and promoted the idea of service and giving back. As a member of Alpha Kappa Alpha sorority we see how that commitment to “serving all mankind” shined through everything she was involved in. Shelia was a beautiful spirit filled with bountiful joy and inspiration. We honor her spirit and legacy by acknowledging all of her accomplishments and all that she has done for the DC metro community and beyond. 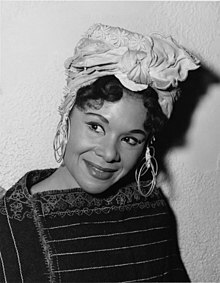 Rest in paradise to the “Queen of the Community”, Shelia Stewart. October is here and there are tons of causes to bring awareness to like breast cancer, domestic violence and down syndrome. We feel strongly about supporting each of those causes, however, just this year and over the past few months we have noticed a heightened string of events that have all been related to mental illness. One example of this is shown in the recent passing of Hollywood actor Lee Thompson Young. Young’s death was an unexpected and devastating blow to Hollywood and the community of 20 something year olds; that have watched him grow from the beloved childhood secret agent, Jett Jackson. Young was only 29 when he committed suicide on August 19th, 2013. It was released yesterday via NYDailyNews that Young suffered from bi-polar disorder and depression. With that being said it was shocking for most of the world to hear that news but it is undoubtedly not a surprise that most people neglect the fact that mental illness can attack anyone at anytime. It is almost always assumed that a person suffering from a mental illness should look a certain way or act “crazy”. There are many other open stigmas attached to mental health and we wanted to focus on airing out those stigma’s and shedding more light on mental health. Therefore, we sat down to have an up close and honest discussion with one of our Instagram supporters Ms. Regal_Fro aka One Mental Vlogger. She shared her Street Intell and gave us a first hand look into how she is living her story. On a brief visit to Virginia, we were fortunate to sit down for an up close and personal interview with this week’s living HER story feature, LaQwanda aka @Regal_Fro. Finding out that she has far more to share with the world than great hair tips. LaQwanda touched based on the importance of getting treated for mental health concerns and how she wants everyone to be able to conquerors of their condition. We thank LaQwanda for choosing to share her Street Intell and we hope she informs and inspires more people to get help and learn more about the stigmatized condition of Mental Illness. If you connect with her and want to follow her journey further visit her on YouTube at One Mental Vlogger.